Duram recently launched its new logo to the market. 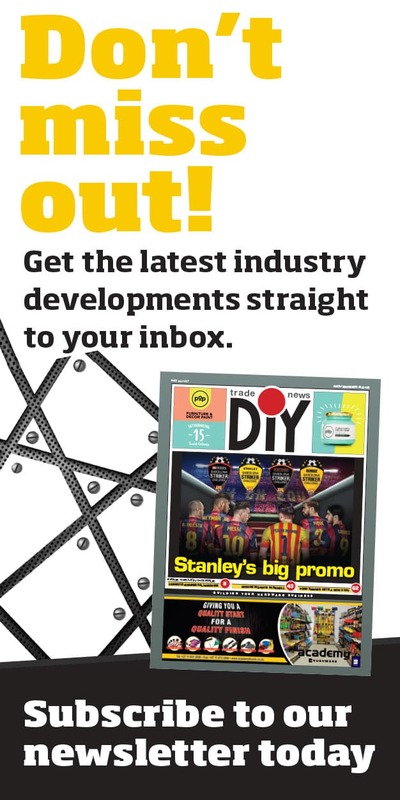 DIY & Industrial Trade News spoke to Francois Swart, Duram Sales Director about it. 1. Why has Duram evolved their logo? Our previous logo was introduced way back in 2003 and we felt that it was dated and crowded by other brands that had moved their logo to be closer to ours. 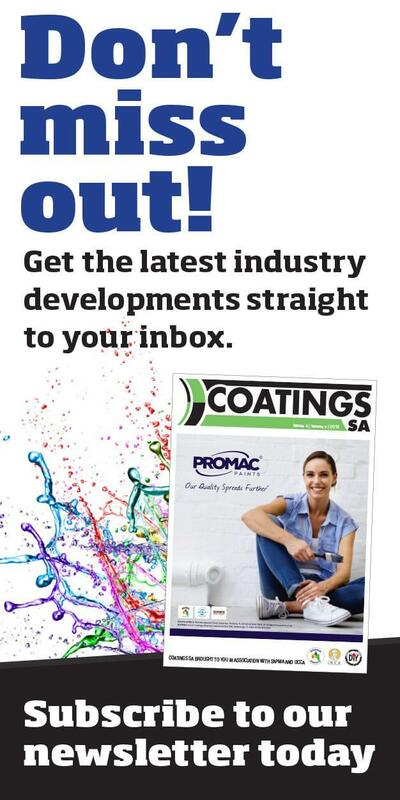 As one of the top three paint brands in South Africa we felt the need to differentiate ourselves and position Duram as a confident market leader. We wanted a logo that worked well in today’s digital world, while still reflecting our brand heritage as a maker of specialist, hardwearing paints. 2. What does your tagline, Smart Paint mean? To us, Smart Paint is more than a tagline; it is inherent in our culture. Through our stringent research and development process and quality focused production, we ensure that our products are made smart. For our customers this is further underpinned by our quality guarantees and excellent value making buying Duram paints a smart choice. Our brand also appeals to consumers emotively as our paints look smart, offering luxurious finishes, attractive colour choice and style. 3. Where does Duram foresee growth in the future? As always our sole distribution channel remains hardware retail stores. We feel that our brand still has a long way to go in the retail market and are working on some very exciting innovative products and concepts. We feel that retailers have a massive opportunity to grow their bottom line by increasing their Duram sales. Our model’s dependability and the way in which we maximise sell through while maximising retailer profitability is really gaining traction in the market. Our retailers are reporting that the Duram brand continues to gain popularity in their stores and that the need for more brands and double stocking is decreasing every day. Duram’s range is now covering all needs in the market while remaining price competitive, margin generating and offering best value for the end consumer due to never compromising on quality. The market and the current insecurity in our political environment will surely have an impact on the overall growth of the market. It is therefore our suggestion to not only focus on turnover growth – especially not through price cutting, but rather focusing on growing your bottom line on what you sell. 4. Where does Duram see themselves in the market with retailers? Duram’s brand is most certainly well established as one of the top three brands and continues to show strong growth. We are very excited about our new logo and that we have the opportunity to once again energise the market with our fresh look. Our loyalty to the hardware retail market and the model of not competing with our customers is also unique in the retail paint trade. Retailers enjoy the fact that they never come up against us in the trade space and that the pricing still affords them the opportunity to bid on trade jobs, without direct supply from us to compete with. Retailers are also seeing less of a need to stock too many brands and can fulfil most requirements profitably and timeously by supplying Duram products to their customers. 5. Is Duram expecting any changes to happen in the market? A lot has happened in the paint market over the last year. We are seeing some consolidation on supply, with retailers paying close attention to avoid duplication of ranges, especially when lesser returns are forthcoming. There seems to be quite a lot of discounting happening to drive sales but this discounting does not seem to bring in more Rands to the retailers and is certainly not giving them any competitive advantage. We are concerned about the selling down in price points, which inevitably does result in lower margins through competition and poorer performance on site. This trend however is not witnessed throughout the market and is not proving to increase the promised foot count profitably. 6. How does Duram deliver on its value proposition to retailers and consumers? Duram continues to supply the best quality products at the best possible cost without any compromise. We work with our retailers to identify specific return on investment models, while ensuring that the consumer gets the best possible quality for the price paid. We ensure that our stock levels are kept at unprecedented levels nationally and provide cost prices on a long term basis, so as not to drive inconsistent selling prices and perceptions from the consumers. Our model tries to reduce stock in stores while making paint buying simpler. We are deeply grateful for the support received during the first quarter of our new financial year from our retailers and consumers. Our sales force are enabled to make promises through the work of our incredible logistics and manufacturing teams. These promises are kept through their hard work and our sales team is constantly looking for ways to improve our retailers’ return on the stock invested in store. We know that retailers constantly make promises to their customers and we see it as our job to keep their promises by getting stock to stores in line with expectations. We have recently added a number of new team members to our sales management team and I am delighted in knowing that every one of them could easily fulfil the role of the person managing them. My sales team are my heroes and regularly go to extreme lengths to delight their customers. We understand the lifetime value of each customer and consider every decision with that lifetime of our relationship in mind. Each person in the Duram sales team is a specialist in their field and treat the business like it is their own. We thank all our retailers for the incredible support they have given to each sales person.